Massapequa, New York, USA. August 5, 2018. 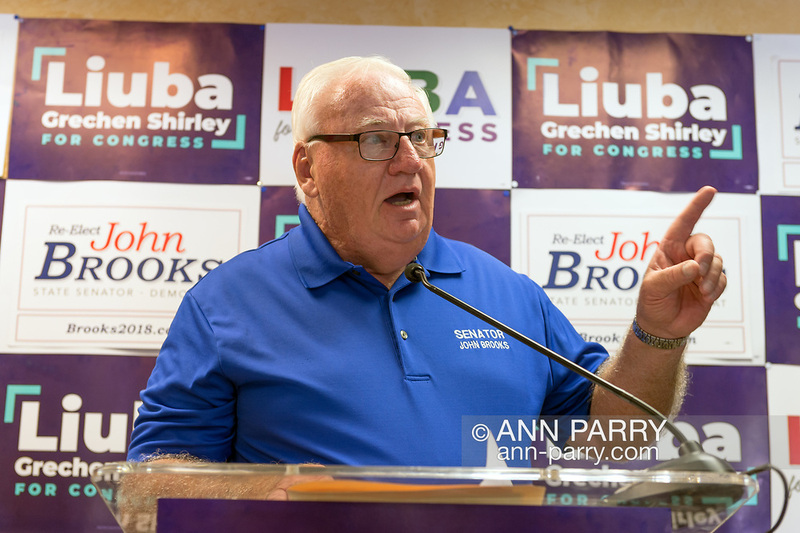 NY Senator JOHN BROOKS (D-Seaford) speaks at podium during open joint campaign office for him and Liuba Grechen Shirley, aiming for a Democratic Blue Wave in November midterm elections.